The State of Arizona provides a tax credit to taxpayers against their tax obligation when they make a contribution to a qualified School Tuition Organization. The organization provides scholarships or tuition assistance to students attending qualified private/parochial schools. This bill was passed in 1998. Tax credit limits are adjusted yearly for inflation. Please refer to our homepage for the current year limits. The tax credit allows taxpayers to direct all or a portion of their tax dollars and, at same time, provide tuition assistance for students at no cost to themselves. What is Arizona’s Catholic Tuition Support Organization (CTSO)? Arizona’s Catholic Tuition Support Organization (CTSO) is a qualified tuition support organization that is incorporated as a non-profit Arizona corporation, tax exempt under section 501 (c) (3) of the Revenue Code. 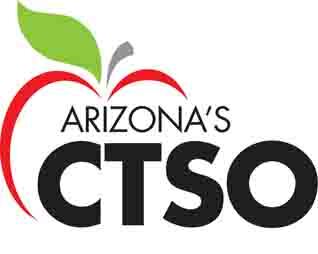 CTSO receives contributions from taxpayers and distributes educational scholarships or tuition grants to children in private schools in Arizona. . The Board of Directors is committed to allocating 95% of its annual revenue. The law requires 90% be allocated. Who is eligible for the education tax credit? Anyone who pays taxes in Arizona, parents, grandparents, friends, and neighbors. What are this year’s tax credit limits? Tax credit limits are adjusted yearly for inflation. A husband and wife who file separate returns when they could have filed a joint return may each claim 1/2 of the tax credit that would have been allowed on a joint return. Taxpayers may direct their tax credits to CTSO AND to public school and to the working poor during the tax year. Limits for public schools and the working poor are also adjusted for inflation. Is a tax credit the same as a tax-deductible donation? No! A tax credit is significantly more beneficial than a tax deduction. A tax credit reduces your Arizona tax liability dollar-for-dollar by the amount of your contribution. A deduction reduces the taxable income upon which taxes are calculated. However, it is possible to claim the payment as an itemized charitable deduction on your Federal income tax return as well. How does the Tuition Tax Credit work? Donating is simple. A printable payment form is available here or obtain a brochure with a return envelope by requesting a brochure be sent to you. Payments may be made by check, credit card (Visa, Mastercard, Discover, or American Express), electronic funds transfer in one single payment or monthly. CTSO will send contributors receipts by the end of January. CTSO offers an online payment method through the CTSO web site. The process is secure and safe. Payments are only accepted by credit card. The online method is easy and fast and upon authorization of the credit card transaction, your contribution is immediately posted to your account. How does the taxpayer determine tax liability? Taxpayers can review their previous year state tax return (find “reduced tax”); it will help you determine what your liability was last year. This is the total of your tax and not necessarily the amount deducted from your paychecks, the amount refunded to you, or the amount due. Call your tax preparer with additional questions or for further assistance. How does the taxpayer claim the tax credit? Taxpayers claim the credit when they complete their tax return by writing in their support amount on the designated lines of the Arizona individual income tax return. If you do not pay any income tax to the State of Arizona, no benefit will be received. However, you can carry forward any unused credit for up to five (5) years. CTSO will send all contributors the required Arizona tax forms with their receipt in January. The forms are also available by calling the Department of Revenue, (800) 352-4090 or by clicking on the tax form pages on the CTSO website. Does the CTSO accept Matching Gifts from employers? You may also mail the matching gift application with your contribution and CTSO will mail the completed application to your employer. Can a taxpayer recommend their contribution to go for a scholarship support for a specific student or a specific school? Arizona’s Catholic Tuition Support Organization (CTSO) does not accept specific student recommendations to a named student. Contributions can recommend their money to go to students at a particular school. Funds left undesignated will be distributed to the neediest schools. This is to ensure that students at every school will have an opportunity to qualify for scholarships. Families who have registered for the CTSO Referral Plan may apply for additional tuition funds.